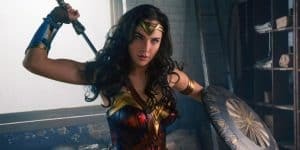 Wonder Woman 2 Might Already Be In The Works | Nerd Much? With Wonder Woman finally in theaters, rumors have turned to an eventual sequel. In an interview with CinemaBlend, producer Charles Roven has stated that “the future of Wonder Woman” is defined by the results of the current film. Roven says he and the crew “hope it continues on,” and that he would look forward to working with director Patty Jenkins again. So though Roven doesn’t exactly say that there is absolutely no Wonder Woman 2, the success of the original is sure to bring those hopes off the ground and into production. The comics certainly have plenty to offer in terms of story, and she is sure to be a hit in the upcoming Justice League as well. Do you think there should be a sequel to Wonder Woman? Does DC have the ability to make their own cinematic universe like Marvel managed to? Let us know your thoughts in the comments below. Has Josh Gad Been Cast as Penguin for DC?